New year, new excuse to give your home a little TLC. Whether you’ve managed to jump on the A-town property ladder (congrats! ), scored a sweet rental, or have finally realised that your circa 2001-style room needs a makeover, there are a couple of things you need to keep in mind. Like fashion disasters, interior disasters are very, VERY real. We know, we know, it’s tempting to waltz into a store and walk out with a bunch of beautiful (yet totally random) bits and bobs, but unfortunately for you and your home, that can be a recipe for design tragedy. To help you avoid any mishaps, we’ve teamed up with the clever team at Città, a New Zealand born and bred store that is quite literally a home-lover’s dream. Better yet, they know exactly how to get your space looking stunning and what to do if you’ve accidently made an interior no-no. Take note; here are the five biggest interior mistakes you’re making and how to fix them. Your home will be looking top-notch in no time. Cushions are just the best. They’re perfect for snuggling and can take a lounge from zero to hero in a second. Sometimes, however, you have to pull back the reigns on your cushion obsession (sorry, but you do). 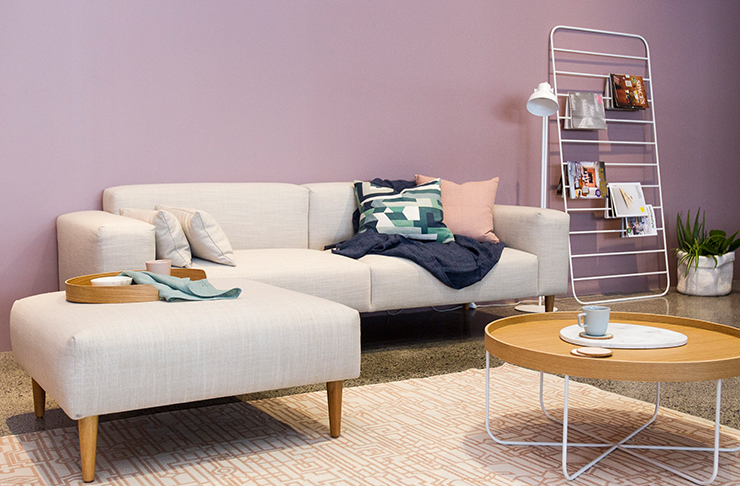 A carefully thought out selection of mismatched cushions can bring a couch to life. Start with a couple of standout cushies then complete the look with various styles and sizes in the same colour palette. When dressing your bed, use the four-pillow formula—be it two big pillows and two smaller ones or four of the same size. This is your chance to play around with different colours, textures and combos. Let one statement cushion do the talking or let loose and pile ‘em on! That copper planter might be the cutest thing you ever did see, but just because it’s trending, it doesn’t mean you have to have one. Just like in the fashion world, interior design trends change with lightning speed. Fight the urge to jump on trends and remember, a house without your personal style ain’t a home. Bring your own personality into your space, whatever that may be. Trinkets and collectables can inject a much-needed dose of liveliness and character. There’s a reason why the phrase ‘less is more’ exists. When it comes to your home, think of it as a curated space, rather than a place to dump all your stuff. If it’s on the smaller side, put less in it and remember that empty space is just as important as filled space. Want to add a bit of oomph to your home? Stop buying matchy-matchy homewares! Slow and steady wins the interior race—add knick knacks, interesting textures, cosy throws and other items slowly, over time and your perfectly curated space will come together like a masterpiece. Ah, rugs. If done right, they can complete a room. The biggest rug mistake? Having it in the middle of the room with all the furniture sitting off it. Yikes. In a bedroom, the rug should be large enough to extend either side of the bed by at least 40cm. You don’t want your pretty rug to look overshadowed. With so many beaut homewares available, it’s easy to get on the impulsive buyer’s buzz. Resist it, people! Your home doesn’t want to be dotted with random junk you ‘just had to have’. Shop around before you buy and take things out on appro so you can see if they will go with your other homewares before you make a commitment. Also try to buy investment pieces that will last—both trend and quality wise. Editor’s note: This article is proudly sponsored by Città and endorsed by The Urban List. Thank you for supporting the sponsors who make The Urban List possible. Click here for more information on our editorial policy.